Produced by the band and mixed by Grammy winning producer Dave Sardy (Johnny Cash, LCD Soundsystem, Noel Gallagher’s High Flying Birds), PICK UP YOUR HEAD is the follow-up to 2010’s No Name No Color, which featured the hit single “New Low,” a top five hit at alternative radio, and whose video (http://bit.ly/Ketxkv) amassed more than 4.3 million YouTube views. The Sacramento, CA-based MCR toured endlessly in support, sharing stages with Muse, Social Distortion, Them Crooked Vultures, Alice In Chains, 30 Seconds To Mars and Linkin Park, while drawing rave reviews from the likes of NME, the BBC,Alternative Press and Kerrang, among many others. Stockham and Lopez have been playing together since they were teens posting up in Zack’s mom’s house in Sacramento writing and recording. 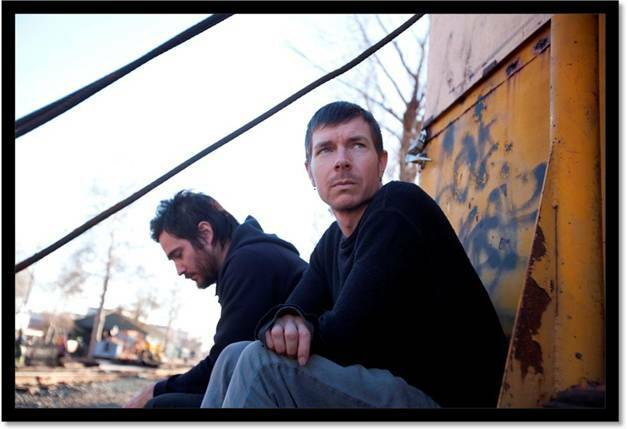 Prior to the release of No Name No Color, the duo released three EPs, and in mid-2011, put out “Hurricane,” a 10-inch vinyl release featuring the band’s resplendent cover of Bob Dylan’s “Hurricane” with exclusive acoustic live versions of “New Low” and “Dead Set” (recorded at Maida Vale Studios and XFM Studios respectively) as b-sides. This entry was posted in Artist, Bassists, Drummer, Guitarists, Internet Radio, Music, Rock, Rock N' Roll, RockStar, Vocalist, Wornstar Clothing and tagged Bleach Bang, Bleach Bangs, Bleach Bangs Radio, Charlie Owens, Dead Eye, Hard Rock, Middle Class Rut, Music, Randy Norris, Rock, Rock N' Roll, Rock Star, RockStar, Sean Stockham, the Hellion, the Hellion Rocks, Zack Lopez. Bookmark the permalink.